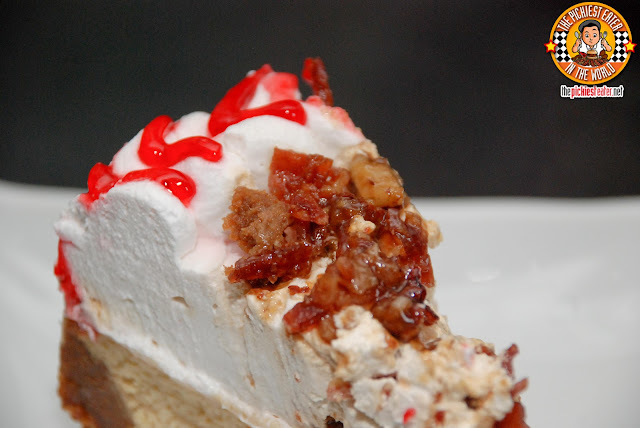 THE PICKIEST EATER IN THE WORLD: QUICK PICK: BANAPPLE'S MAPLE PECAN & CANDIED BACON HOLIDAY CHEESECAKE! QUICK PICK: BANAPPLE'S MAPLE PECAN & CANDIED BACON HOLIDAY CHEESECAKE! Another nice thing about being a blogger is being asked by businesses to try some of their products. just the mere thought that these esteemed members of the food industry think my opinion matters is quite overwhelming. Some products I'm more than happy to try, but sometimes I get an offer to try a product that has nothing to do with food or even remotely close to any of my interests so I politely decline. But let me tell you this.. When the owner of Banapple asks if you would like to try their All New Maple Pecan & Candied Bacon Holiday Cheesecake even before it's released in their restaurants, the only acceptable answer is either "YES" (All Caps mandatory) or "HELL YES". In my two and a half years as a blogger, I've managed to gain a reputation for myself as a lover of all things bacon. It's not uncommon for me to get a Tweet or a message on Facebook regarding anything Bacon related. And the truth is, I love it and really appreciate it, so keep 'em coming please! Even without the presence of the bacon, I can say that this is one of the best Cheesecakes that I've ever tasted. I want to start with the cheese cake base, because that's where the awesomeness begins. 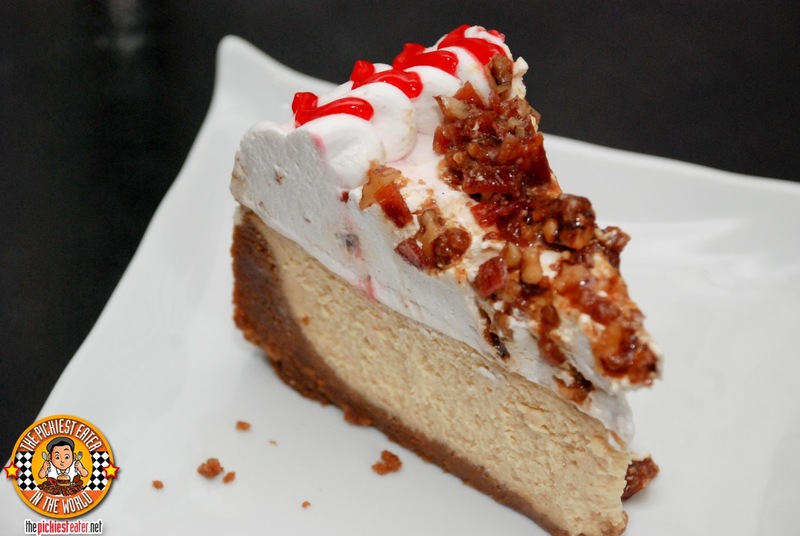 The cheesecake has Maple in it, which gives it a touch of sweetness and neutralizes the tartness in the cream cheese. Instead of the light sharpness of cheesecake, you get a syrupy creaminess that tastes simply amazing. The secret weapon in this dish, is of course the candied bacon. It's the perfect harmony of sweet, smokey, and savory. I brought a slice of this to work, and even the slightest hesitation anyone may have had about eating "candied bacon" was dispelled after one bite of this cheesecake. Also the crunchy Pecan Pralines was a nice touch, adding a bit of sugary nuttiness to balance the cake out. 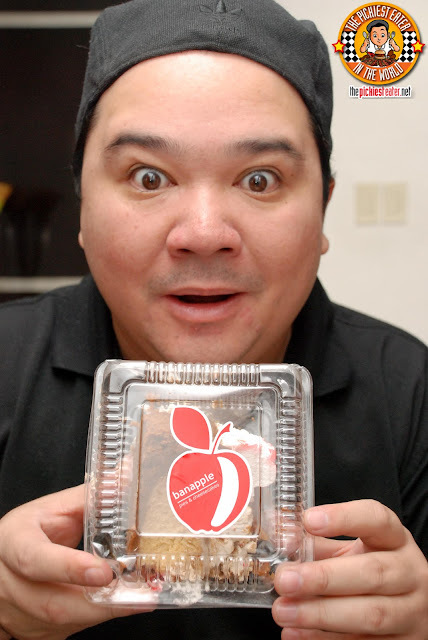 Banapple's Maple Pecan & Candied Bacon Holiday Cheesecake is available per Slice (P120), and whole (P1,180). bacon?? on a cheesecake? something new. you gotta try it cookies! i want that for christmas ☺ hahaha!!! note to self: must run to banapple NOW!